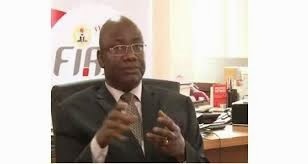 President Jonathan today sacked the Acting Chairman of Federal Inland Revenue Service (FIRS), Kabiru Mashi who was appointed in 2012. A new Executive Chairman, Samuel Ogungbesan has been appointed from the Southwest Zone. Until his appointment Mr Ogungbesan was a Coordinating Director at Federal Inland Revenue Service.